Scout for bertha armyworm, lygus bugs and diamondback moth larvae on pods, but only spray if insects counts are at or above economic thresholds. Applications made when insect numbers are below thresholds will not provide a positive return on investment and can do unnecessary harm to the many beneficial insects that help keep pest insect populations low. These six questions provide a review of thresholds. 1. When considering spray thresholds, which of these tools would you use to count bertha armyworms? 2. 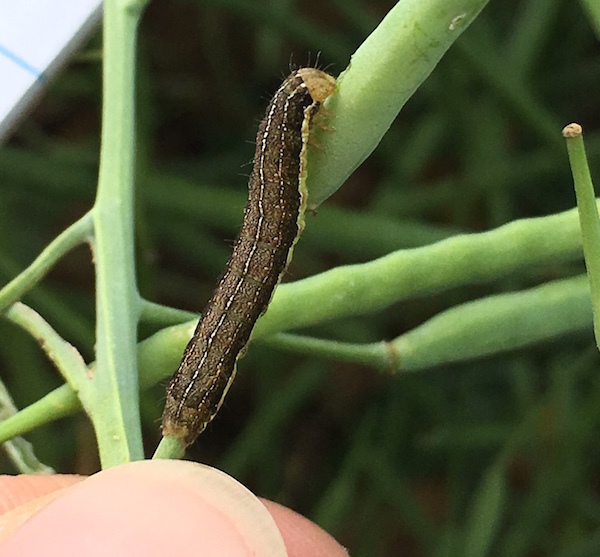 Bertha armyworm thresholds are based on the total cost to spray and the price of canola. If total spray cost (product, sprayer, water delivery, time, crop trampling) is $12 per acre and the canola price is $12 per bushel, what is the bertha armyworm threshold? 3. When considering spray thresholds, which of these tools would you use to count lygus bugs? 4. 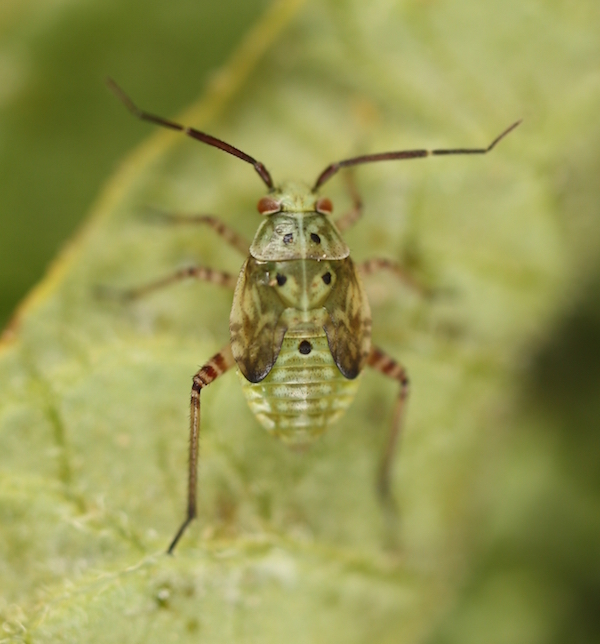 The economic threshold for lygus bugs will vary with total application cost, crop value, crop stage and the moisture situation. 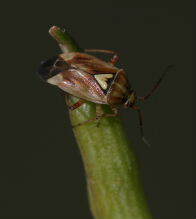 In very dry conditions, if canola is worth $12 per bushel and total cost for the spray application is $12 per acre, what is the lygus bug threshold at the pod ripening stage? 5. These photos show an adult lygus and a juvenile lygus at the third instar. When scouting, you count ______. 6. Diamondback moth larvae are small and it takes a lot of them to do an economic level of damage. At the pod stage when diamondback moth larvae are most likely to cause economic damage, the threshold is ______ larvae per square metre.